We all know how frustrating it can be living with a cat who scratches up couches, clothes, and even walls. It’s no fun living with kitties who use their claws as weapons of mass destruction. But not every cat is a destructive scratcher, though absolutely every cat is a scratcher at heart. 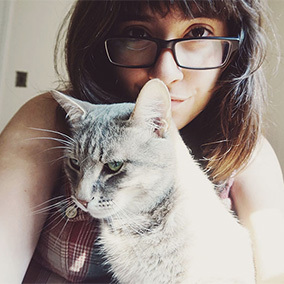 Why cats all love (and need!) 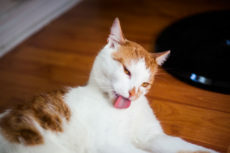 to scratch comes down to a number of incredibly powerful benefits cats get out of the act of scratching to their hearts’ content (though again, hopefully not on any human furniture!). 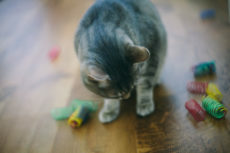 These benefits are the reason why, if you ever do take the time to train a cat to stop scratching destructively (click here for the how-to), it’s important to have a slew of objects you’re happy to let your cat scratch on as alternatives to the human furniture they’re used to taking their claws to. 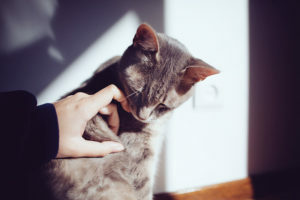 You don’t want your cat to stop scratching altogether – it’s a biologically ingrained behaviour that’s healthy for them to engage in, and with so many benefits, it’d be detrimental for them to stop. You just want them to re-locate their scratching someplace you’re happy for it to take place. 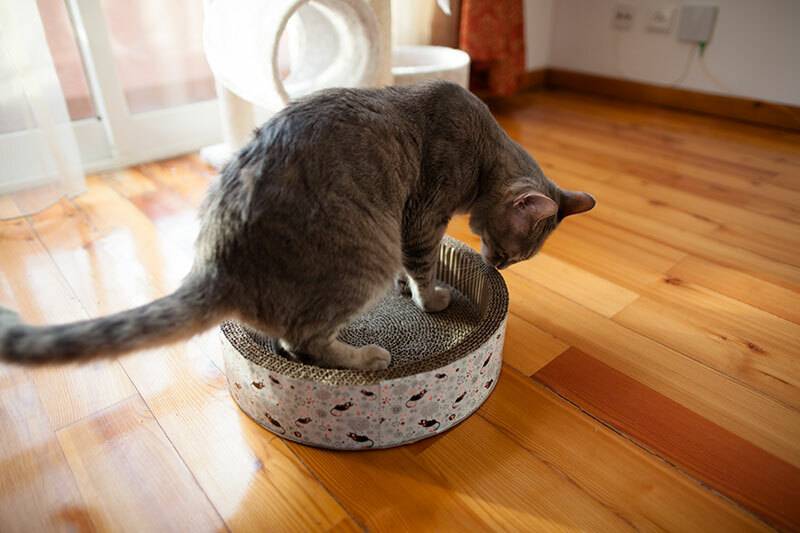 Scratching posts are a fairly obvious way to go in terms of cat scratch-approved objects, but if you already have one and want more variety for your cat, you may want to try cardboard cat scratchers or small cat trees instead. Happy to go big if it means your cat will finally leave the sofa alone? 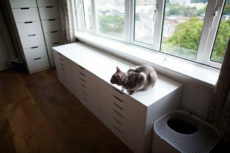 Try a massive cat jungle gym, or if you’re in an apartment, a thin cat tower or a floor-to-ceiling type instead. 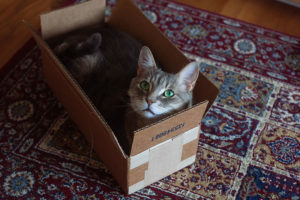 There are plenty of inexpensive cat towers out there as well – so even if you’ve got a tight budget, these days you do luckily still have plenty of options. Human objects like rugs and carpets also work if you can’t stand the look of too much cat furniture. 1. Scratching helps cats remove the outer shell of their nails – something like natural nail cutting. Ever seen thin, crescent moon shaped nails on the floor beside your cat’s scratching post? Whether or not you knew it – what you discovered were your cat’s outer nail shells, not your cat’s nails themselves. It’s a little bit similar to how snakes shed their skin – which is a very cool process to watch by the way (here are some pictures of my old pet ball python shedding in case you’re curious!). Under the old, outer shell of a cat’s nails there’s a new, healthy full-grown sharp nail, just like underneath a snake’s old paper-thin upper layer, there’s a gorgeous smooth, perfectly formed skin beneath waiting to have its turn out in the sun. 2. Removing the outer nail shell exposes a new, sharp under layer – so scratching helps cats keep their claws sharp. 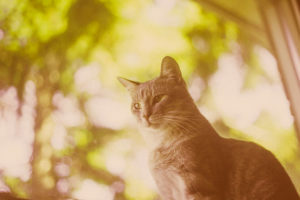 Cats don’t technically scratch to sharpen their claws – after all, it’s not like there are any emery board types of surfaces commonly found outdoors. But scratching does help them get their claws back to being sharp since that new, healthy nail beneath has a nice, fine tip. Sharp nails are ever-so-important for cats, who use their nails to dig into wood and other materials when they’re trying to climb up to difficult-to-jump-to locations. Cats can jump very high, about 5 or 6 times their body length, but their ability to claw their way up things like tree trunks and fences also comes in incredibly handy. You probably didn’t need me to mention it, but cats also use their nails as weapons when they hunt, allowing them to catch and hold onto prey. Without their sharp nails, it’d be difficult for a cat to survive in the wild. So scratching indirectly helps them survive since it directly helps them to keep their claws sharp, which helps them climb after and keep a tight grip on their prey. 3. Cats scratch to scent mark their territory. In my article about why cats knead, I spoke about the fact that cats have scent glands in their paws. By kneading, they release their smell onto the object they’re kneading, and with this scent, mark their territory. 4. Scratching helps cats visually mark their territory. Ever seen the way a piece of wood looks after it’s been scratched up by a kitty cat? 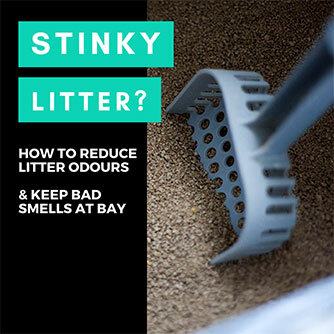 It’s pretty obvious a cat’s been there – not just to us, but to other cats and likely other animals as well. If a cat scratches a tree or anything else really in the wilderness, it’s fairly obvious to other cats that come across those scratches that another cat has been there. Visually marking territory by scratching is thus yet another huge reason why biologically, cats are born with a never-ending itch to scratch. 5. The behaviour of scratching helps cats stretch out their body. 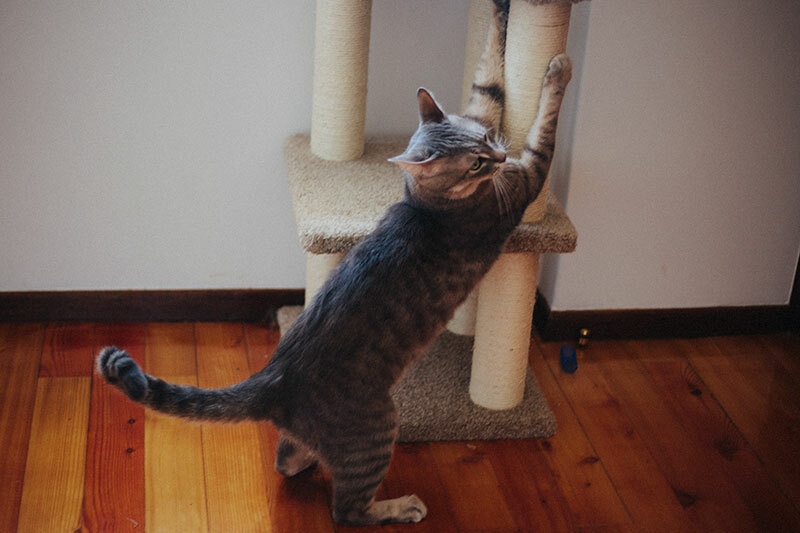 If you’ve ever watched your cat scratch on a post before, you’ve likely noticed your cat doesn’t just place his or her claws along the top and drag. 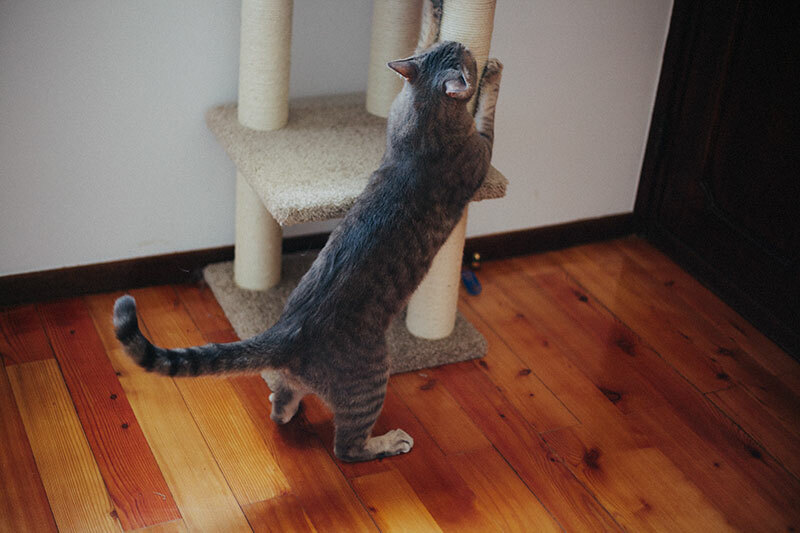 There’s a heck of a lot of movement going on throughout the entirety of a cat’s body before the scratching takes place – a lot of stretching that is. It seems that scratching is more of a full-body experience, again, a bit similar to kneading. 6. Since stretching is involved in scratching, it’s a highly effective muscle relaxing process. 7. Scratching acts as a stress relief mechanism for cats. Stretching in and of itself, even for humans, is a powerful stress-relieving mechanism. Scratching, including stretching as part of the feline scratch ritual, must be enormously helpful in this department for our feline friends. My guess is it goes a long way in calming cats down, keeping their stress levels low, and a good chunk of anxiety at bay. While I’m not sure if much research has been done on the topic, I’d venture to guess that a cat who isn’t able to engage in the act of stretch-scratching is likely going to end up being a pretty stressed out kitty. So keep your feline scratching (again, the right objects!) 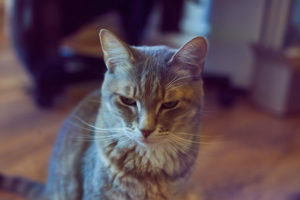 – it should go a long way keeping your cat content. Cat Already Scratched Up the Sofa or Walls? If you’ve come here out of frustration trying to figure out just why cats can be so viscous to human homes and furniture – say because your kitty’s already scratched up your favourite sofa, rug, or even your doors or walls; don’t sweat it. Besides proactive measures I mentioned in the intro of this post, you can also protect these all-too-well-loved spots from further damage by installing furniture scratch protectors: like clear cat scratch guards that cats can’t get their nails through or couch cat scratcher posts & mats that cover up damage. Cat did a really big number on a large part of the couch? You don’t need to replace the whole thing, a couch protector cover should do the trick saving your sofa from further damage or making an old sofa look pretty darn close to new again. Life with cats is a whole lot easier with all the options we have available these days! 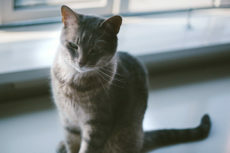 Your Thoughts on Feline Benefits Reaped from Scratching? What do you think about cat scratching? Did you learn about any benefits that you didn’t think about before here? Did you know the crescent-moon shaped nail that a cat lets off is the outer shell of a cat’s nail that needs to be shed to reveal a healthy, sharp nail below it? Do you remember what you first thought these little outer layers of nails were when you first saw them? 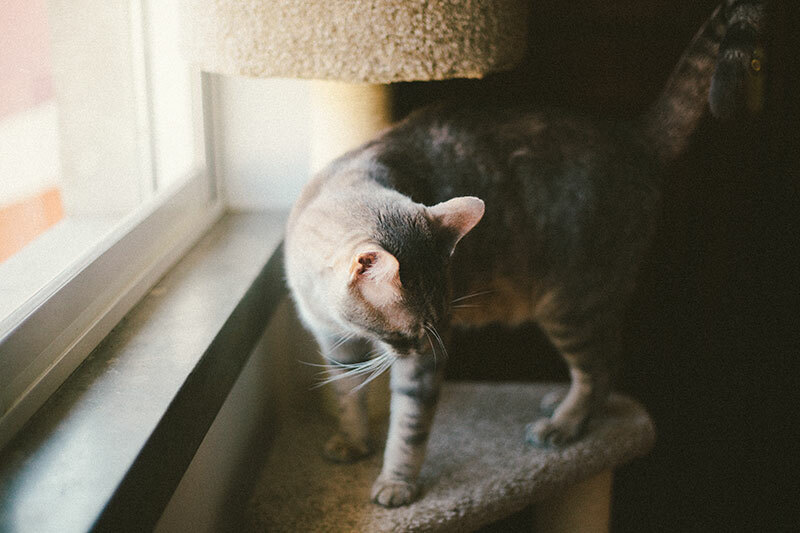 Do you feel your cat uses scratching a lot as a stress relieving mechanism? Do you think cats who can’t scratch probably get a little anxious without the ability to engage in this naturally ingrained behaviour? Can you think of any other ways cats benefit from scratching objects? Looking forward to hearing your thoughts and any stories in the comments section down below! Can Cats Cry? Do Cats Ever Cry Tears Like Humans? What Are Cat Tears? Why Do Cats Chew on Plastic? Is It Dangerous? Can I Get My Cat to Stop? 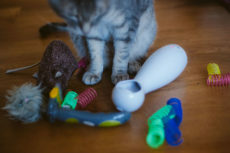 How Much Play Do Cats Need? How Often & How Long Should Playtime Be? I don’t think so. Cats claws work in layers, so when they scratch, a perfectly formed viciously sharp claw is uncovered beneath the little top “sheath” that was shed. When you cut, you cut the layer, and the layer beneath. So I don’t know if it’s even possible to make a product like that. Would be cool if it existed. Until then, at least it’s monthly rather than weekly trimming – and at least we don’t have to bathe them like dogs! – that’s what I’m grateful for. Since we are very, VERY anti-declaw, we love when our cats scratch on their scratchers. We have vertical and horizontal scratchers; some store-bought, and a few home-made (The Hubby’s old stand-alone stereo speakers are EXCELLENT scratchers!) Da Boyz climb up our sisal-covered carpet-roll, and they tend to want to nap on the cardboard scratchers that are strewn about the house. I’ve even joined a kitty while they were scratching, by digging my fingers into their scratcher next to them; they’ve always given me a strange look! I really need to try the sisal-covered carpet roll. Just yesterday Avery tried to scratch on a still yet to be unrolled carpet in our living room and so I now *really* know he’d dig this idea. 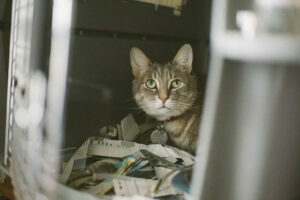 Does Your Cat Hate Carriers? Here’s How You Can Fix That Fear!